The term ‘Geometry’ is derived from the Greek word ‘Geometron’. This has 2 equivalents. ‘Geo’ means Earth and ‘metron’ means Measurement. It is a position or location on a plane surface, which are denoted by a single capital letter. It is a part of a line with the finite length and 2 endpoints. The points A and B are called the endpoints of the segment. It is made up of infinitely many points with infinite length and no endpoint. It extends indefinitely in both directions. The two lines that share one common point are called Intersecting Lines. This shared point is called the point of intersection. Here, line l and m are intersecting at point C.
Two or more lines that never intersect (Never cross each other) are called Parallel Lines. It is a part of a line with one starting point whereas extends endlessly in one direction. Anything which is not straight is called a curve. 1. Simple Curve – A curve that does not cross itself. 2. 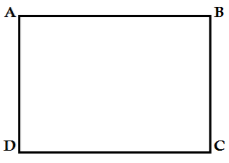 Open Curve – Curve in which its endpoints do not meet. 3. Closed Curve – Curve that does not have an endpoint and is an enclosed figure. It refers to the inside/inner area of the curve. The blue coloured area is the interior of the figure. 2. The exterior of the curve. It refers to the outside / outer area of the curve. The point marked A depicts the exterior of the curve. It refers to the dividing line thus it divides the interior and exterior of the curve. The black line which is dividing the interior and exterior of the curve is the boundary. The interior and boundary of the curve together are called the curves “region”. It is a 2d closed shape made of line segments / straight lines only. Sides –It refers to the line segments which form the polygon, as in the above figure AB, BC, CD, DA are its sides. Vertex – Point where 2 line segments meet, as in the above figure A, B, C and D are its vertices. 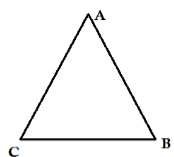 Adjacent Sides – If any 2 sides share a common endpoint they are said to be adjacent to each other thus called adjacent sides, as in the above figure AB and BC, BC and CD, CD and DA, DA and AB are adjacent sides. Adjacent Vertices – It refers to the endpoints of the same side of the polygon. As in the above figure A and B, B and C, C and D, D and A are adjacent vertices. Diagonals – It refers to the joins of the vertices which are not adjacent to each other. 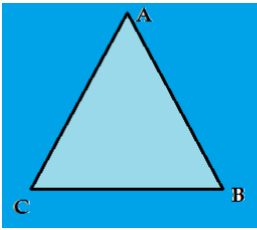 As in the above figure, AC and BD are diagonals of the polygon. A figure formed from 2 rays which share a common endpoint is called Angle. The rays forming the angle are known as its arms or sides. The common endpoint is known as its vertex. 1. Interior - It refers to the inside/inner area. 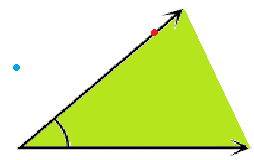 The green coloured area is the interior of the angle. 2. Angle/boundary - It refers to the arms of the angle. The red point is on the arm of the angle. 3. Exterior - It refers to the outside / outer area. The blue point depicts the exterior of the figure. While naming an angle the letter depicting the vertex appears in the middle. The above angle can also be named as ∠CBA. An angle can also be named just by its vertex. It is a 3 sided polygon. It is also the polygon with the least number of the sides. Here, the light blue coloured area is the interior of the angle. The black line is the boundary. Whereas, the dark blue area is the exterior of the angle. 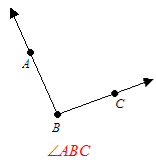 Adjacent Angles: ∠A and ∠B, ∠B and ∠C, ∠C and ∠D, ∠D and ∠A. It is a simple closed curve and is not considered as a polygon. 1. 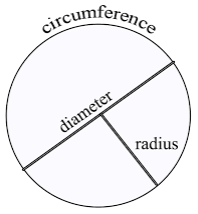 Radius – It is a straight line connecting the centre of the circle to the boundary of the same. Radii is the plural of ‘radius’. 2. Diameter –It is a straight line from one side of the circle to the other side passing through the centre. 3. Circumference – It refers to the boundary of the circle. 4. 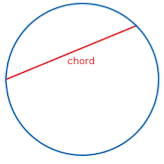 Chord - Any line that connects two points on the boundary of the circle is called Chord. Diameter is the longest chord. 5. 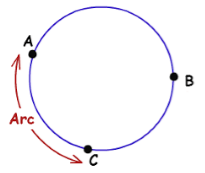 Arc – It is the portion of the boundary of the circle. 6. Interior of the Circle – Area inside the boundary of the circle is called the Interior of the Circle. 7. 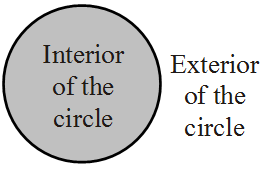 The Exterior of the Circle – Area outside the boundary of the circle is called the Exterior of the Circle. 8. 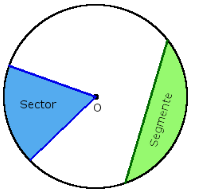 Sector- It is the region in the interior of a circle enclosed by an arc on one side and a pair of radii on the other two sides. 9. 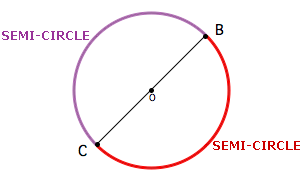 Segment - It is the region in the interior of the circle enclosed by an arc and a chord. 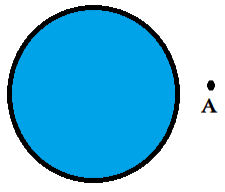 A diameter divides the circle into two semi-circles. Hence the semicircle is the half of the circle, which has the diameter as the part of the boundary of the semicircle.